CBS News reports an apparently mentally-ill man has been charged with attempted murder after tossing a 5-year-old over a third story balcony at Mall of America in Minnesota. At 10:17 a.m. Friday morning police responded to frantic calls from shoppers who witnessed 24-year-old Emmanuel Deshawn Aranda either push or throw the child over the balcony; Aranda then fled the scene before being apprehended. Paramedics quickly began CPR as the child’s mother pleaded for help. “She was screaming for everyone, please pray, please pray, please pray for my baby,” an eye witness said to CBS. 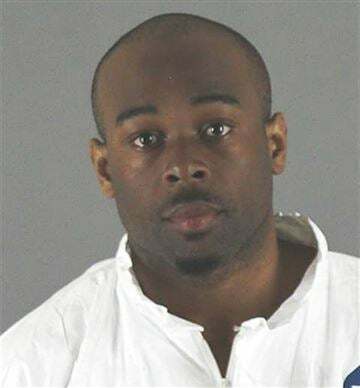 According to further reporting by The Star Tribune, Emmanuel Aranda has a history of mental health problems and several disturbing run-ins with the criminal system. This includes, but isn’t limited to, a 2017 assault charge, and a felony conviction for first-degree damage to property. In 2015, Aranda was previously ordered to stay away from the Mall of America and arrested after ignoring that order. He was caught harassing two women at a restaurant and throwing drinking glasses at diners, according to a criminal complaint. Aranda has also been previously arrested for smashing computers at a Minneapolis public library. He had admitted to police that he’d been stalking the librarian and knew where she lived. His most recent court cases have been assigned to Criminal Mental Health Court, and he spent about 6 months in a correctional facility before being released on probation. The unnamed child was not breathing after the fall, according to paramedic calls. He was hurried by ambulance to the Children’s Hospital in Minneapolis. There seems to be no connection between Aranda and his victim, or the victim’s family. No further information on the child’s condition was available Friday.